A: Yes! It does not matter which operating system is used as long as you're running a supported web browser. A: We don't know for sure yet, but Microsoft will deliver Office Web applications to consumers through Office Live, which is a consumer service with both ad-funded and subscription offerings. That seems to imply a free (ad-supported) and paid (subscription) offering will be available. Q: Will the Microsoft Office Web Applications be made available to business users, too? A: Yes. For business customers, Microsoft will offer Office Web applications as a hosted subscription service and through existing volume licensing agreements. Pricing has not been released yet on this. Q: Will educational institutions get the apps for free? A: Yes. Students will get Office Web applications through Office Live Workspace and universities will get it through the free Live@edu service. Q: When will Microsoft Office Web Applications be available? 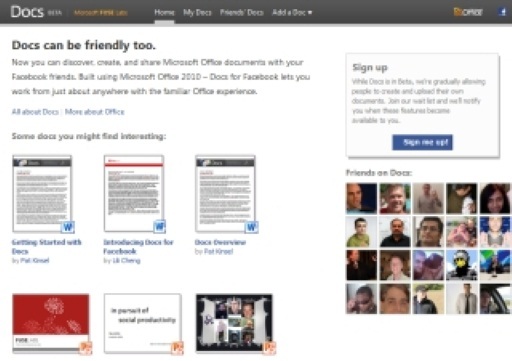 A: A private technology preview of the Office Web applications will debut later this year. For more information about this and other details about the Office Web applications, people can sign up for Office Live Workspace at workspace.officelive.com. Who provided the A's to your Q's? It would be useful to know your source. If all of the answers you provide are accurate then Microsoft may finally be onto a winner, although I hope for their sake that they are not going to be too late. But I must say, as someone intimately familiar with Office document collaboration and Office-like web applications, some of the answers simply seem too good to be true. Can we use the Web Office apps in my silverlight application ? In my project i want open word document in browser there is no any idea which i use to open the word in browser so can we use the Office web apps in my silverlight development.